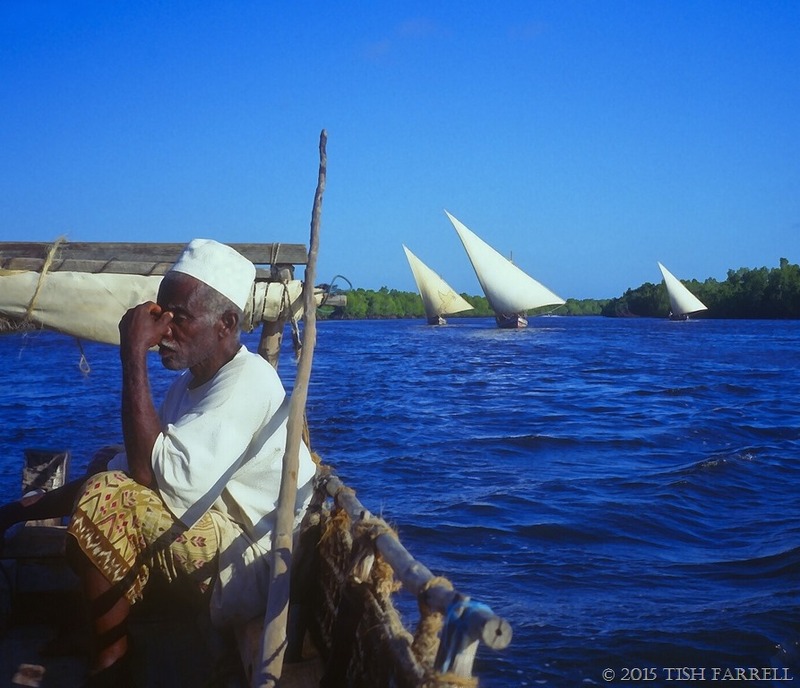 The Swahili communities of the East African seaboard grew out of the commerce between Arab dhow merchants and African farmer-fishermen. 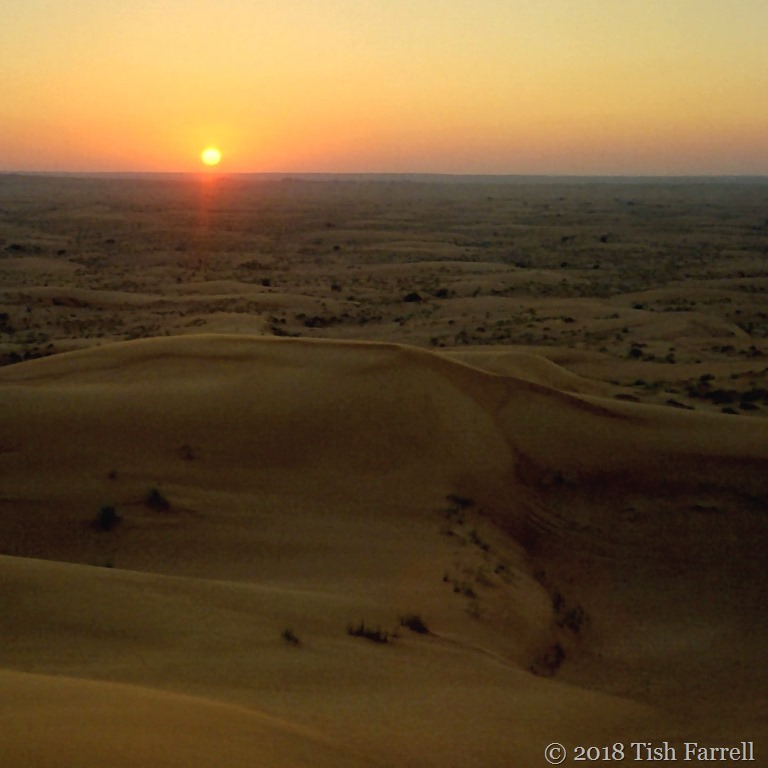 It is a trade that began perhaps two thousand years ago, and it is a trade that relied on the gyre of monsoon winds – the kaskazi that bore the dhow merchants south from the Persian Gulf, and the kusi to take them home. Some of them stayed of course, to manage the trade with the African hinterland. Gold and ivory, ambergris, leopard skins, tortoiseshell and mangrove poles were the lure. In return they traded beads, brass wire, textiles, rugs, dates, porcelain. 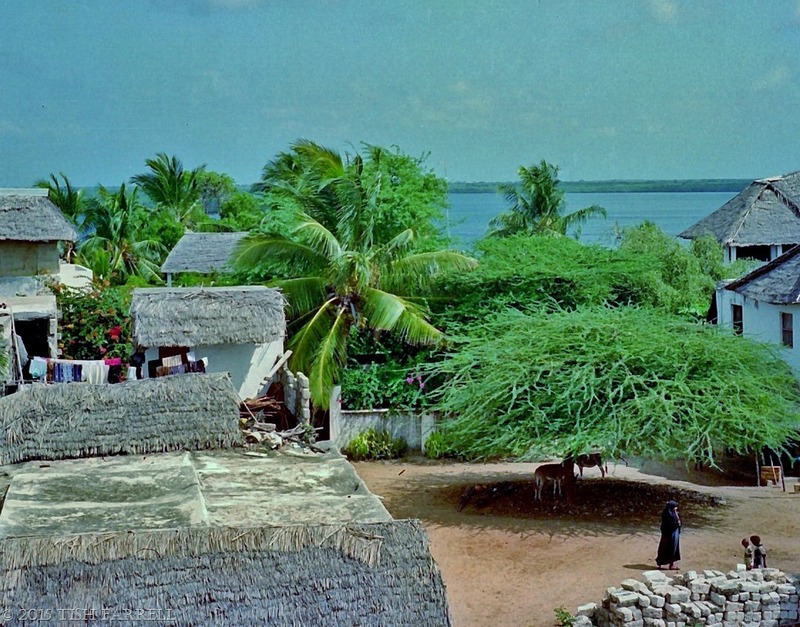 And so from at least 800 years ago city states grew up along the coast – from Lamu near the Somali border in the north to northern Mozambique in the south, and also out on the Indian Ocean islands of Zanzibar and the Comoros. So evolved a new culture as Arab merchants married African women, and along with it a new language KiSwahili – the fusion of Bantu vernaculars and Arabic. 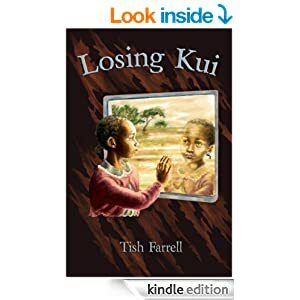 Today Swahili is the lingua franca of East Africa (Uganda, Kenya, Tanzania) although the purest form is deemed to be spoken on Zanzibar. The trade had its vicious side – slavery, and Stone Town on Zanzibar was notorious for its slave market. The slaving and ivory expeditions of Tippu Tip, a Swahili merchant, were the scourge of Central and East Africa during the nineteenth century. He himself was a Zanzibari plantation owner, but he also served the Omani sultans of Zanzibar who had extensive clove plantations on the island, and furthermore ruled much of the East African coast until the British arrived in the late nineteenth century and whittled down their control. Even so the East African slave trade continued on into the twentieth century. 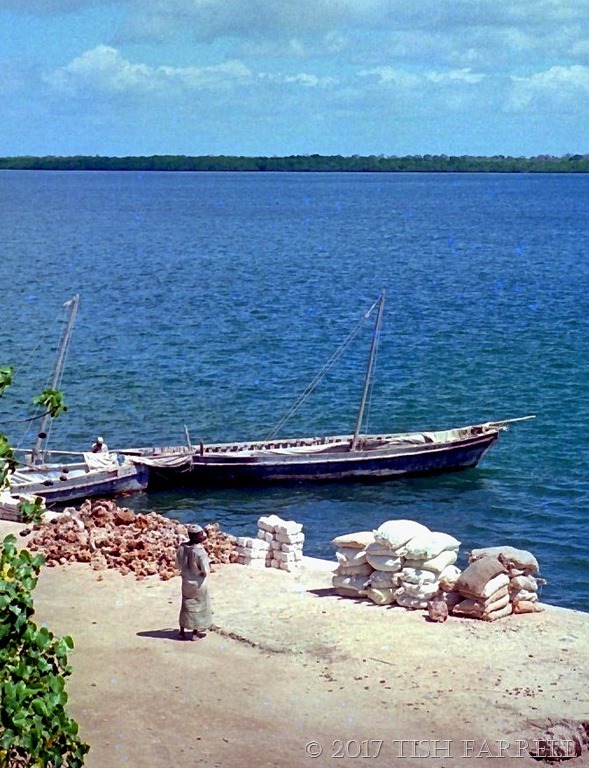 Slaves were still being sold on Lamu until 1907 when the trade was finally banned. 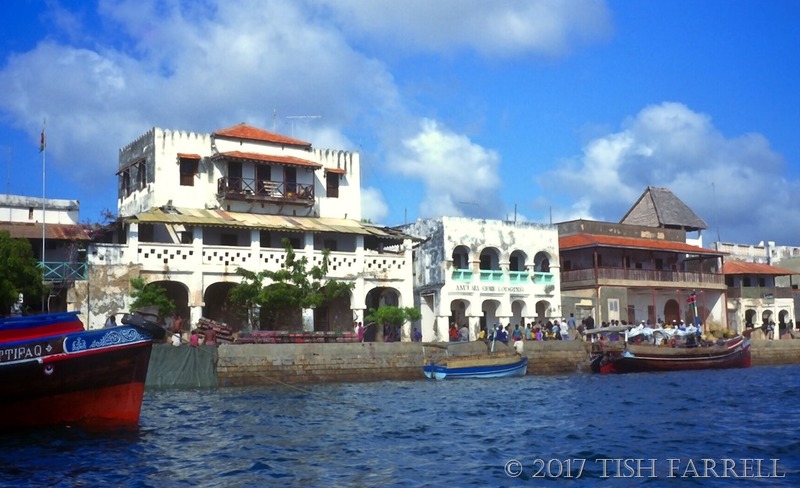 These days the main trade on Lamu is tourism, and the large Arab dhows, bearing dates and rugs and treasure chests, no longer call in there. Local trade using the smaller Lamu dhows still thrives though. 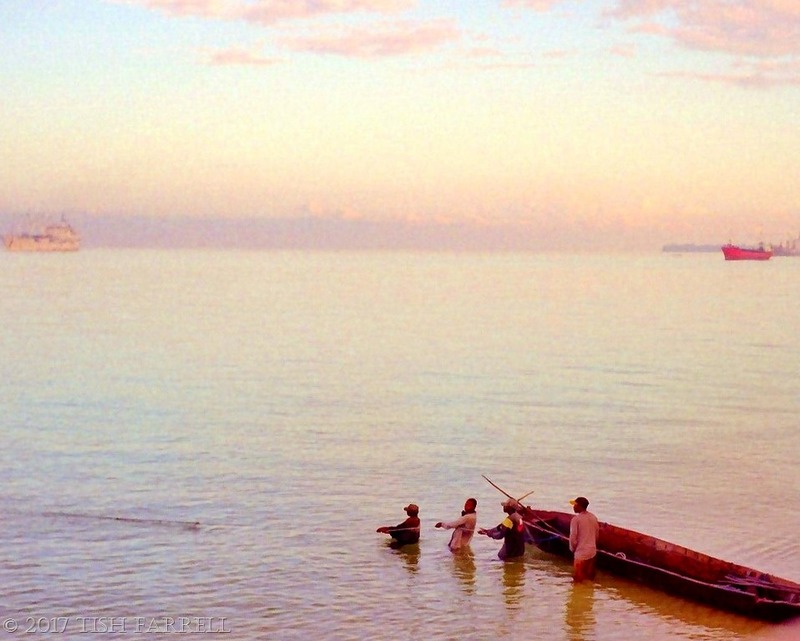 Today’s main exports are mangrove poles, coral rag stone and coral mortar – all for the construction business, and boats are also the main form of transport around the island unless you want to walk or take a donkey. All auto traffic, apart from ambulances, is banned, although this year’s political campaigning has seen the arrival of illegal MPs’ vehicles and noisy motorcycles, so risking the rescinding of the town’s UNESCO World Heritage status. Hopefully things will settle down again. 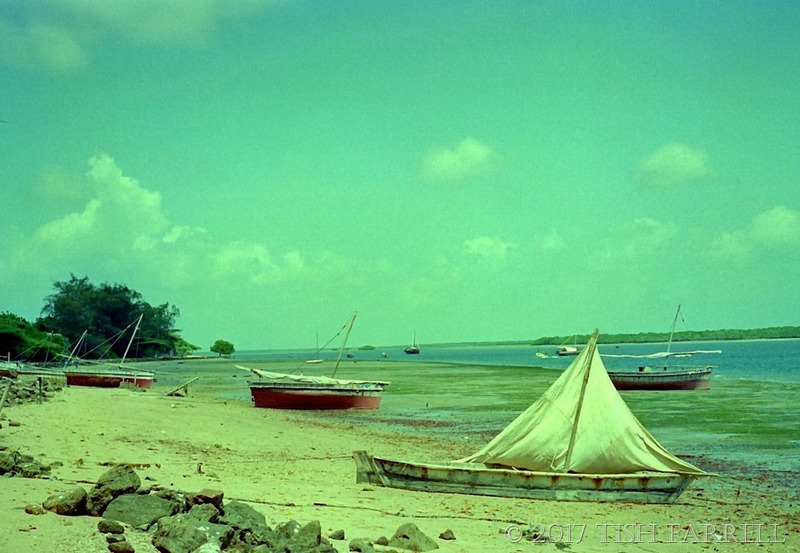 But in any event the quaysides of Lamu are still key to life there. In fact the two mile footpath from Lamu town to Shela Village, the other main community, seems to be one long quayside. Thursday’s Special Please visit Paula for more September word prompts. In case it’s not obvious, my choice was ‘quayside’. Perhaps I was never there at all. Perhaps I never saw this early morning scene. A figment of my imagination then. You, the very lovely people who have been following my blog for a while, will have seen this image before – possibly more than once. But I’m sure you won’t mind seeing it again. 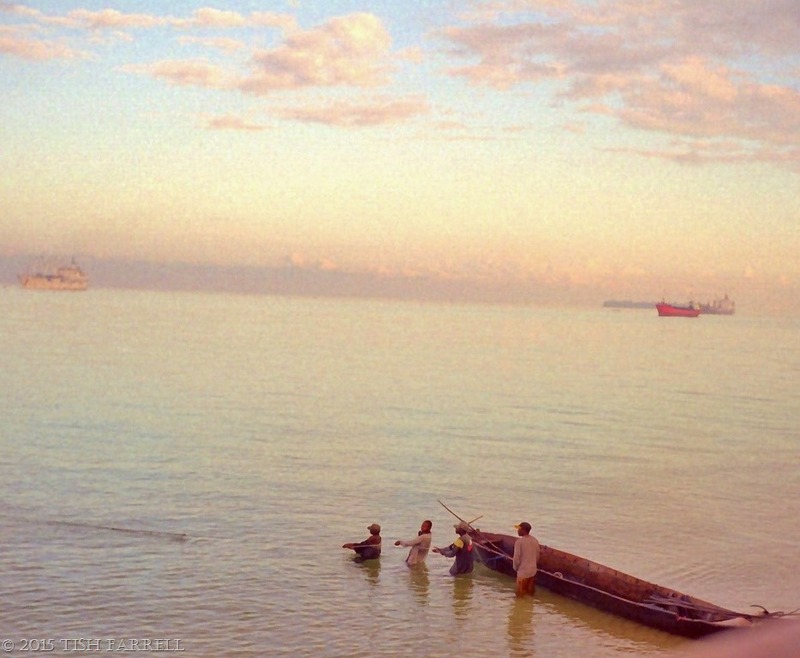 Even if I say so myself, it is a blissful scene, and a chance capture in the Manda Strait on Boxing Day too long ago. It’s as if the East African landscape only becomes itself at sundown and sunrise; is only visible to us humans in steeply angled light. It reminds me of the magic painting books I had as a child: nothing but white pages, the images barely descried, a palimpsest of silvery lines. All is blank then; staringly dull. But take a pot of water, and ply a paint brush across the page, and all springs astonishingly to life. Everywhere bursting in colour. Out in the bush the wild life anyway lies low during the midday hours. And even if you could see them, the equatorial sun flattens the vista. You lose a sense of scale and distance. Even a magnificent eland spotted in the Great Rift at noon can look strangely unimpressive. Just a big antelope then. 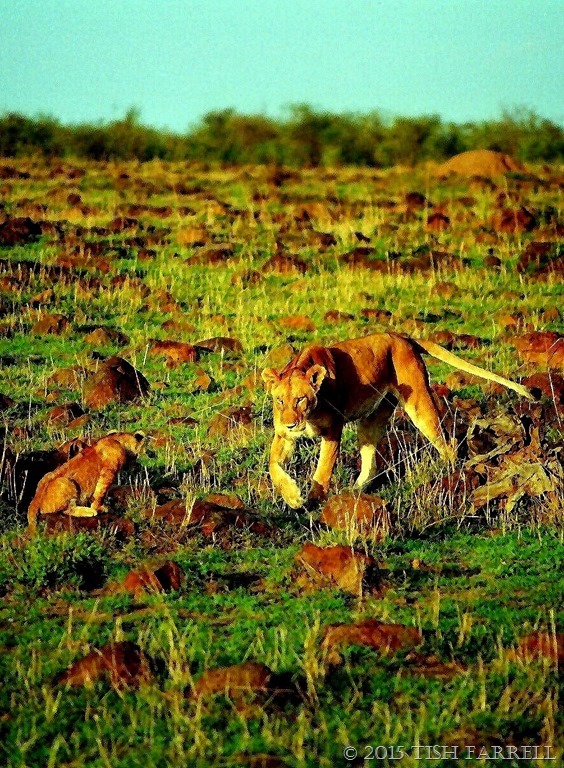 Kenya’s game parks and reserves are vast – hundreds of square miles. The animals are not fenced in although, increasingly along the borders, farming (large and small scale) encroaches on grazing grounds and migration routes. But this lack of containment means you can drive around a game reserve for hour after hour and see nothing but thorn scrub; or the retreating rear end of a warthog if you’re very lucky. Of course they were there all along. Only now they let us see them. Apart, that is, from the big male who is still hiding in the grass behind his mate. 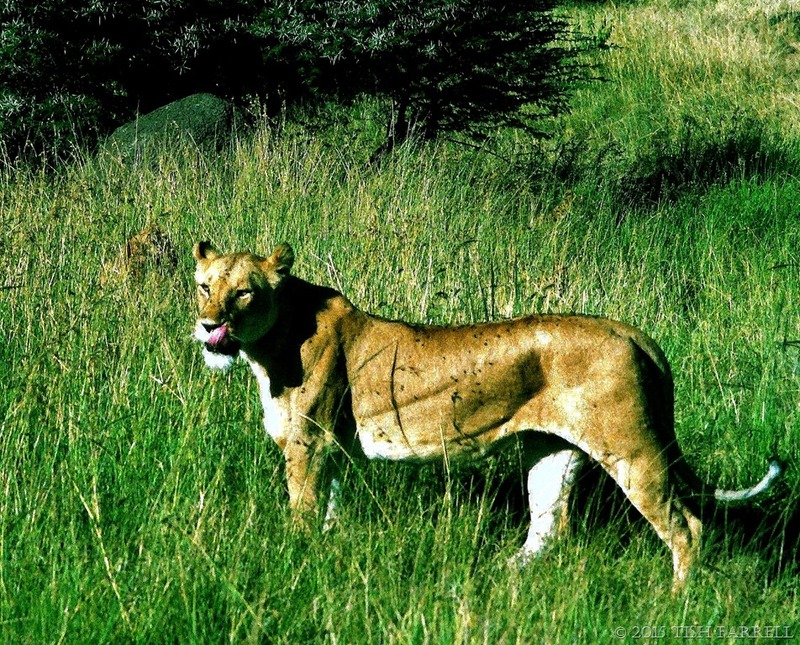 It’s another piece of bush magic, how a 500-pound big cat can disappear in twelve inches of grass. Can you spot him? This week at Thursday’s Special, Paula has asked us to interpret ‘a bird’s eye view’. I’m not sure that four storeys up in Shela’s Island Hotel quite constitutes a bird’s eye view, but it’s as high as I’m going. I’ve written about our stay on Lamu in other posts. One thing I will say here is that we had a room that was ideal for someone as nosy as I am. Three sides were entirely available for nosiness, overlooking the centre of the village. I didn’t know which way to look first. In the next photo you can see the village square with its donkey park under the thorn tree. 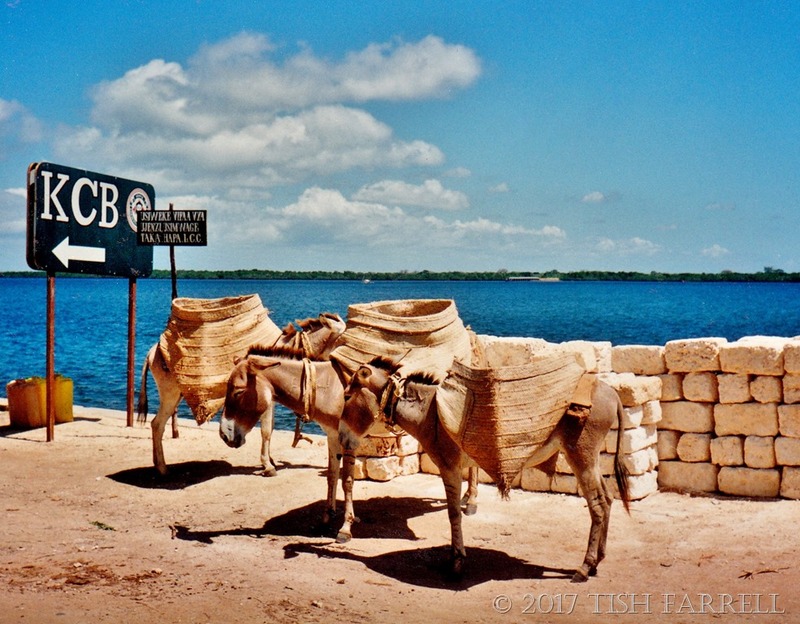 There was only one vehicle on Lamu at the time of our visit – an aged Land Rover, and donkeys were used for all forms of land transportation. They were left under the tree until someone needed one to move something. In the bottom corner you can see blocks of quarried coral rag used for house building. Please visit Paula at Thursday’s Special for more views. 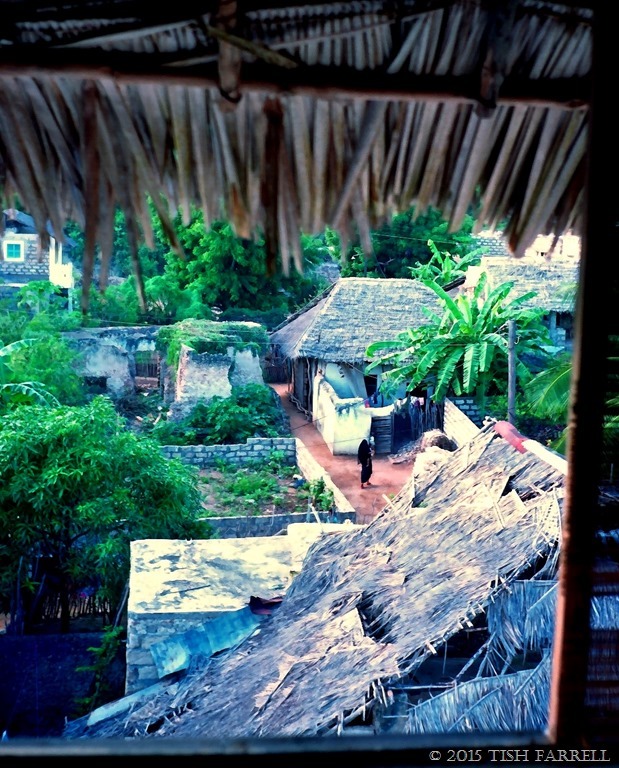 One Christmas, long ago, we went to Lamu, one of Kenya’s Indian Ocean islands. 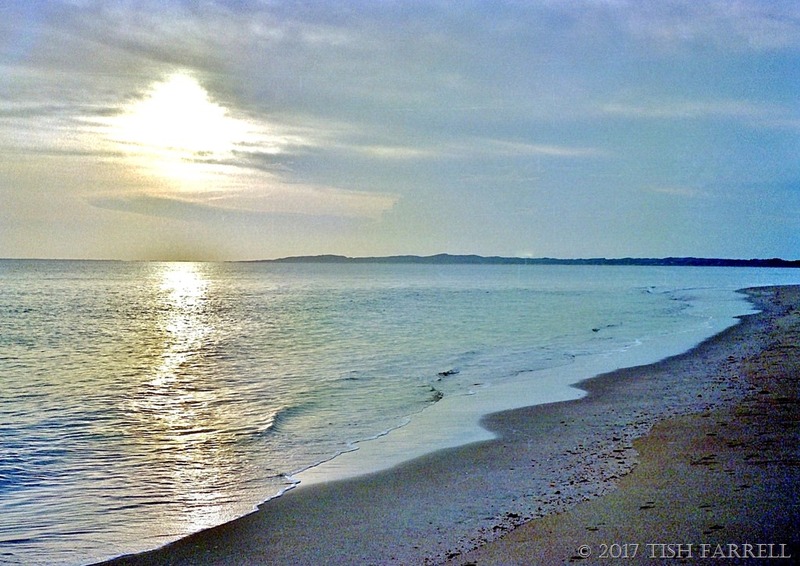 Our trip there was as peaceful as this image suggests, although the nearby mainland has long been preyed on by gangs of Somali Shifta. This then is an idyll with hidden angles, some of them tragic. 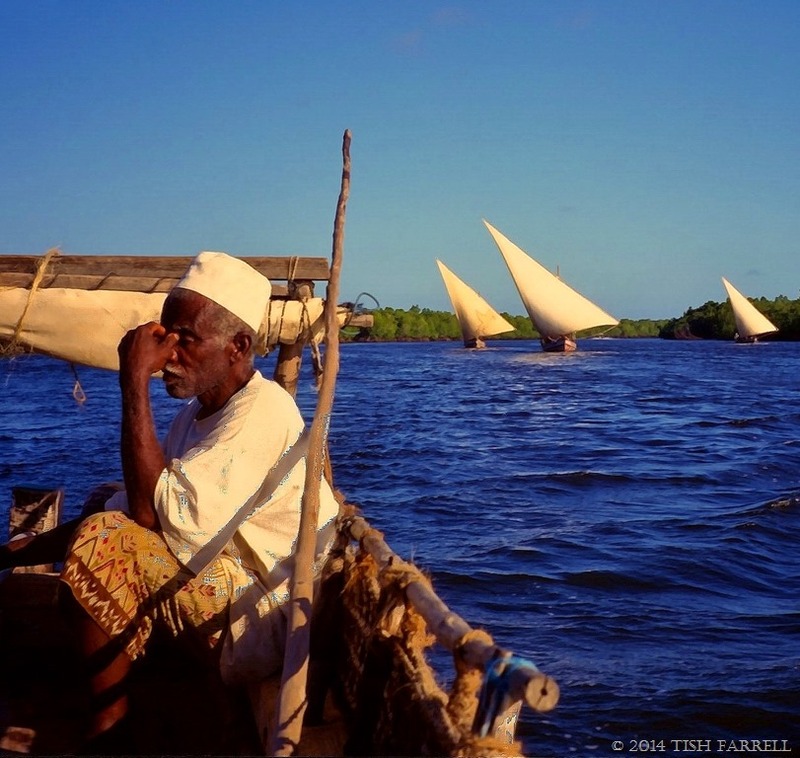 But for now, please enjoy these Lamu dhows with their triangular lateen sails in this gentle display of synchronised sailing along the Manda Strait. 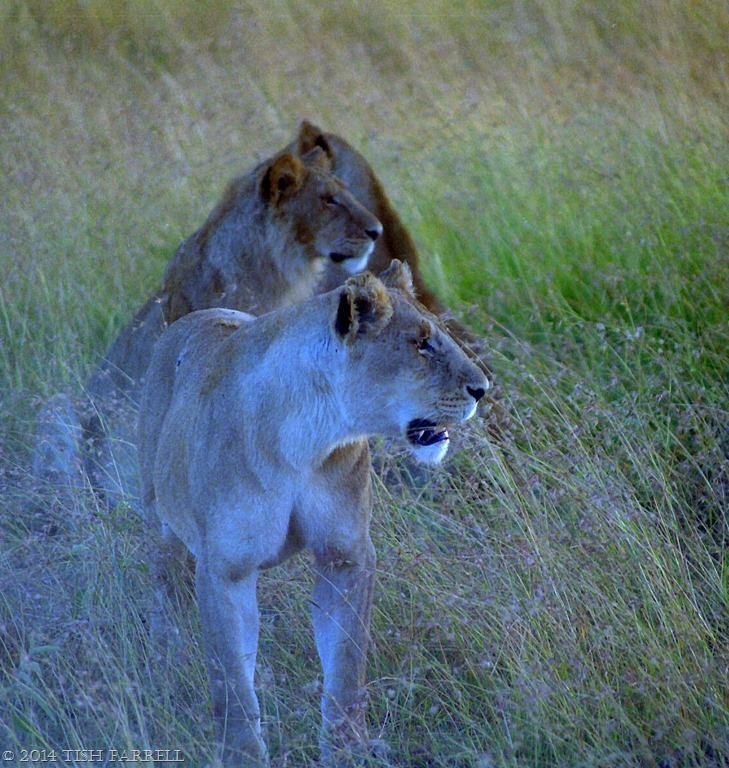 First light on the Mara plains, and the Marsh Pride lionesses have eaten well. 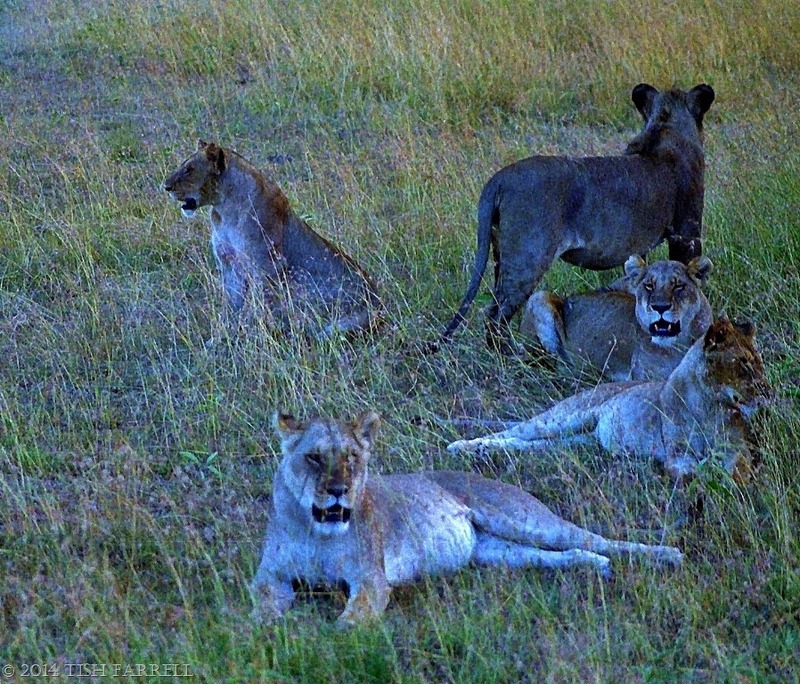 In the night they have killed a giraffe and are resting up near the remains of the carcase. The peace doesn’t last though. And it isn’t us who are bothering them. 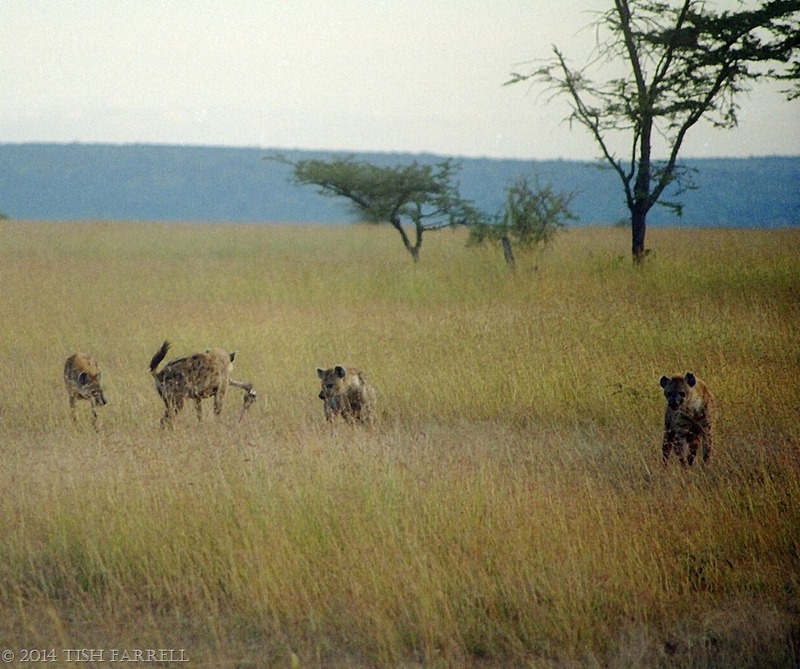 …already the heavy mob are moving in – a pack of spotted hyenas. 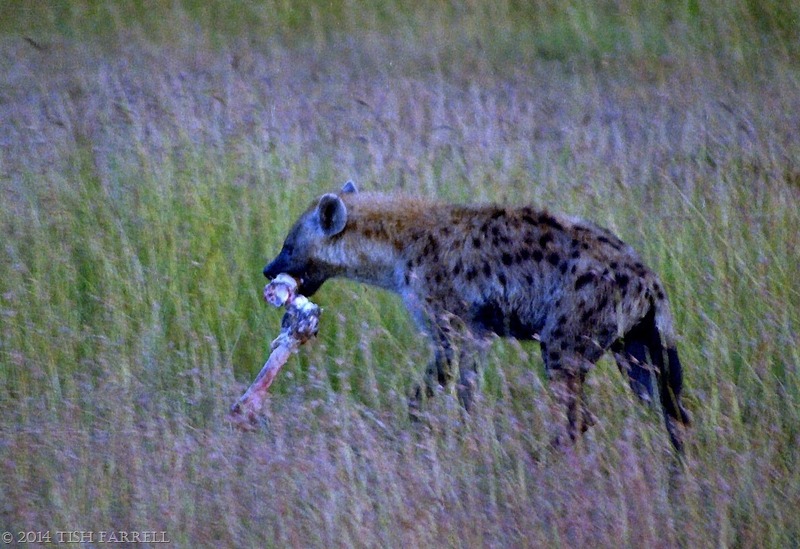 As I said in an earlier post, hyenas do not only scavenge, they are powerful hunters with jaws like demolition-crushers. And despite their lop-sided gait, their feet with blunt, non-retractable claws, are well adapted for the long-distance chase. 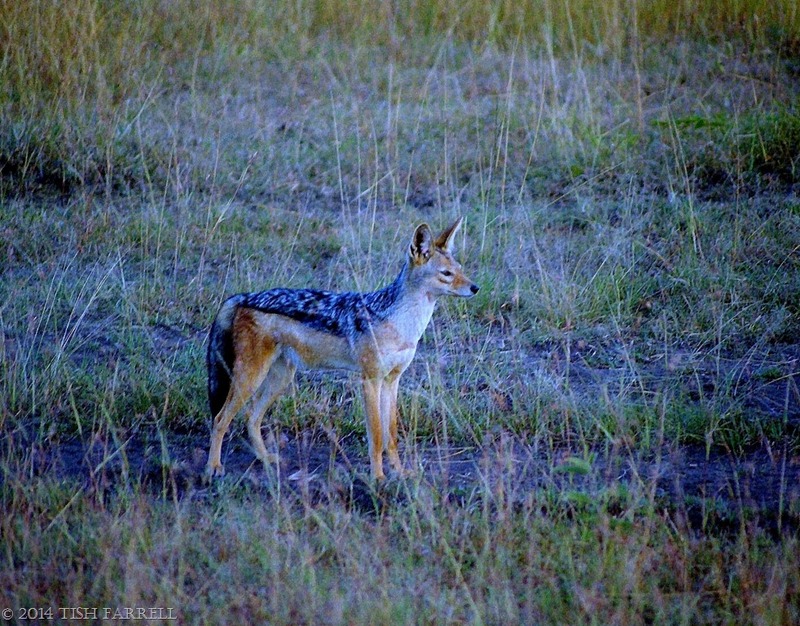 They can take down a wildebeest and eat and digest the lot (apart from horns and rumen) within 24 hours. They will also eat anything, including the faces of sleeping humans caught out without sufficient night-time protection. This was a commonly reported horror while we lived in Kenya. 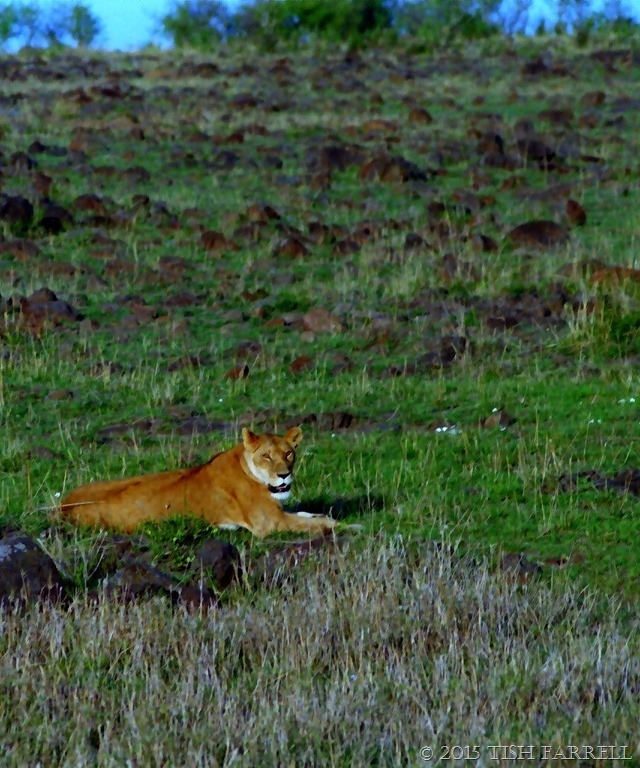 In consequence they are East Africa’s most successful large predator, apart from politicians, that is. 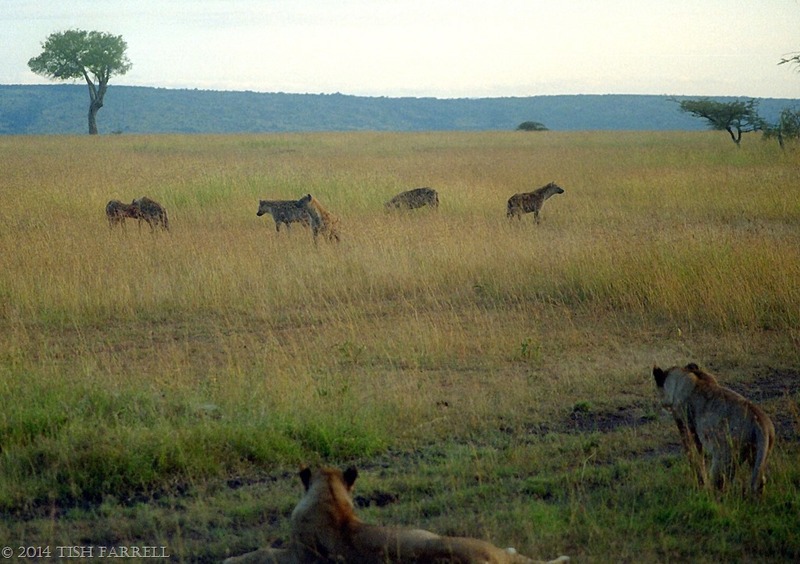 Here, one of the pack has made a rush on the kill and escaped with some leg bones, but it doesn’t look as if sharing is on the hyenas’ menu. 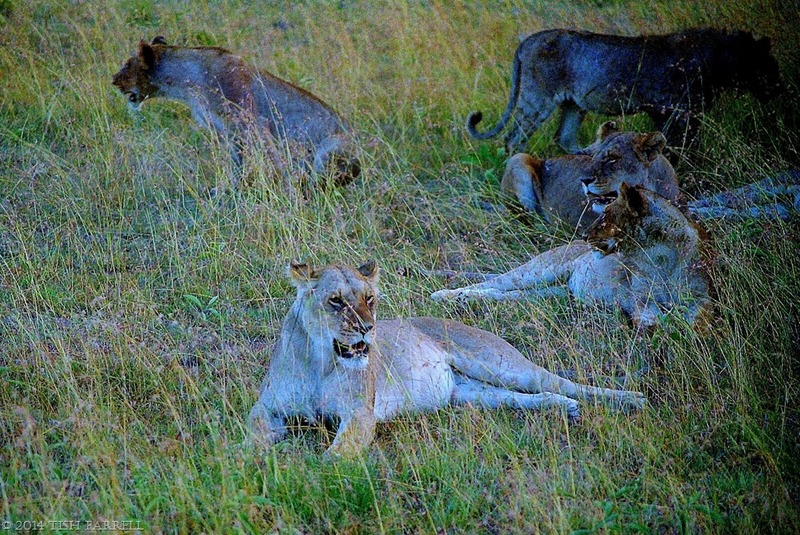 The lionesses go on watching, alert in that laid-back kind of way that cats do so well. The remnants are not worth fighting over. When the time comes, and bellies are empty, they will make another kill.